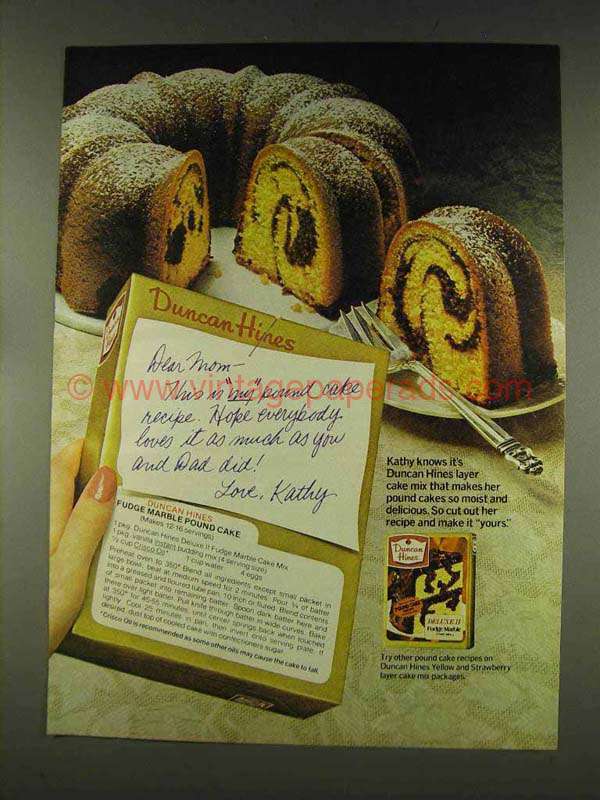 This is a 1977 ad for a Duncan Hines Deluxe II Cake Mix with Fudge Marble Pound Cake Recipe! The size of the ad is approximately 8.5x11inches. The caption for this ad is 'Dear Mom - this is my pound cake recipe. Hope everybody loves it as much as you and dad did! Love, Kathy' The ad is in good overall condition, with some light wrinkling. This vintage ad would look great framed and displayed! Add it to your collecction today!